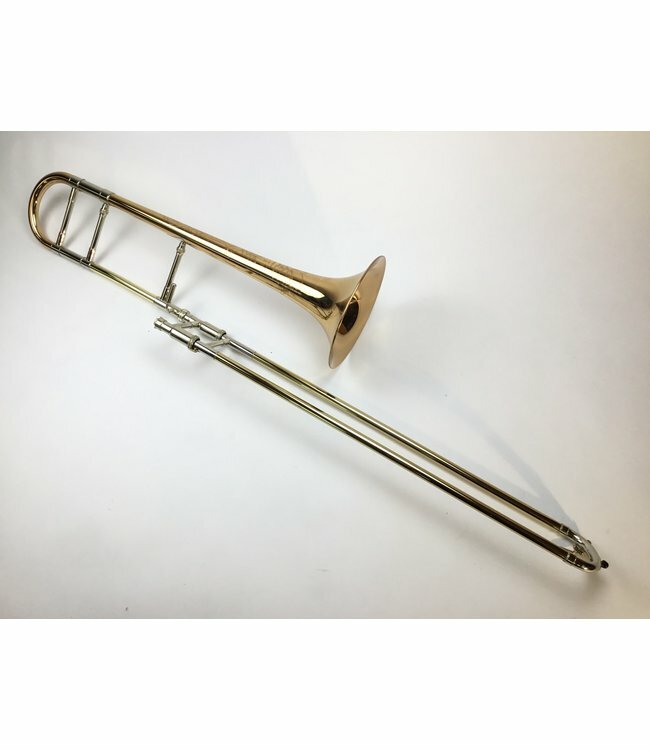 Used Shires Medium-Bore Professional Bb Tenor Trombone in lacquer. .525” bore T25 hand slide, “RS” rose brass seamed tuning slide, “2R8”, rose brass 8” bell flare with older engraving. Instrument is in demo condition apart from minor lacquer scratches on bell flare, very minor acid bleed on tuning slide, and very minor scratches on hand slide. Comes with M2 leadpipe. No case.